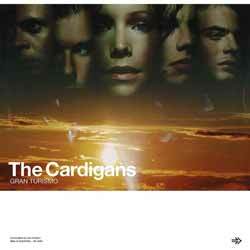 Gran Turismo (1998) is The Cardigan's fourth studio album and sees the band continue to evolve, but not so much as to alienate their fanbase. This is still an electronic indie pop affair, but a much darker, more brooding one. Nina Persson's vocal's continue to grow and while you can clearly hear that this is the same singer as on their debut Emmerdale, there's a deeper, more refined delivery evident here. The album contains 11 tracks (42 min, 33 sec) and I have to say that there was very little here that stood out as being worthy of single material - although 'Erase/Rewind'; 'Hanging Around'; and 'My Favourite Game' were all issued as singles. This is probably one for completists only. To my mind, even though it garnered plenty of awards at the time, it's the band's weakest offering.